Hello there ! 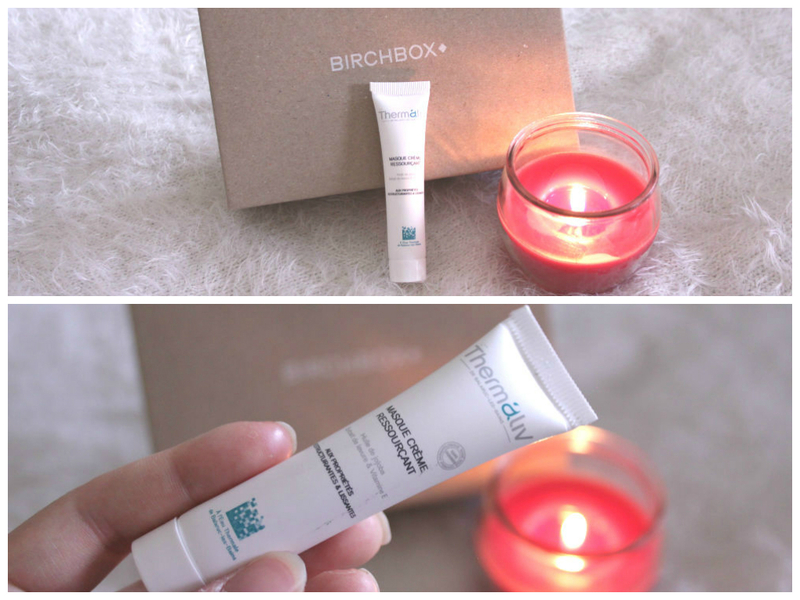 January is ending (time flies so fast), so it’s time for me to talk about my monthly subject: Birchbox! 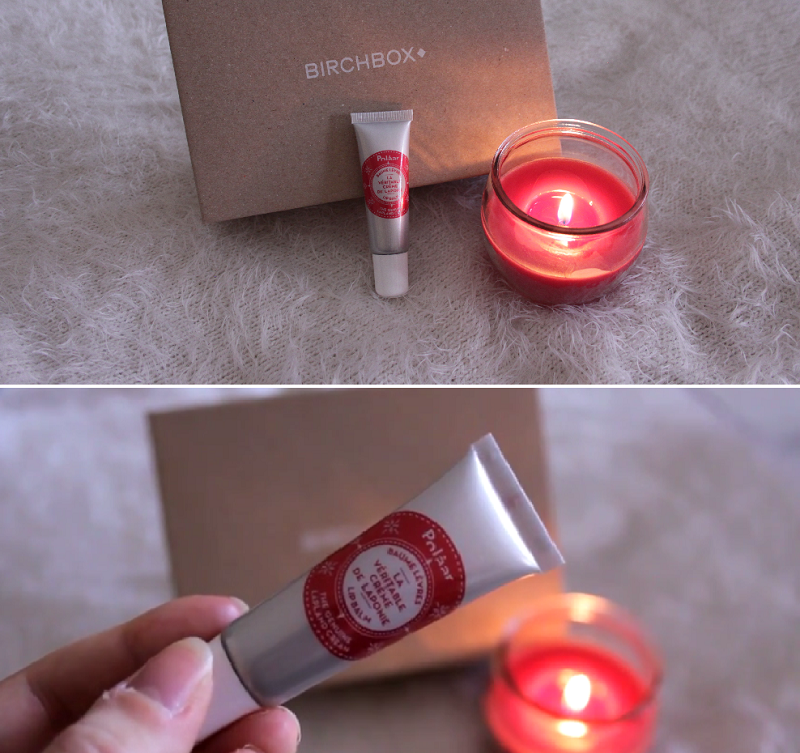 This month, it was a « Fit and Pretty » box and despite the fact that I didn’t really find the « Fit » thing in the products, I have to admit that Birchbox continues to impress me. Let’s start with the « oddest » product of this month, a strong mint flavoured Mouth Wash from Marvis. By « odd« , I don’t wanna mean useless, because if we have to be honest, a moush wash is always useful. When you’re not at home, you sometimes forgot your toothbrush and in that case this product is a lifesaver. I mean « odd » because I didn’t expect to have that kind of thing in a beauty-box ! But hey, why not. And what if you have a fresh mouth but a dry skin ? The job will be incomplete ! That’s why the Thermaliv Face Mask is perfect. I have a very dry skin, especially in winter, so I’m always looking for new product to treat my face. This one is really efficient, thanks to the jojoba oil and the only thing that I find a little boring is that you have to leave it on your face for at least 15 minutes. For me this is SO long. Well, seems that I have time to paint my nails now. Skin is feeling good ? Perfect, now a little bit of highlight is more than welcome. I’m not really into blush or light eye-shadow, or highlighter, but if it is a 3 in 1 kind of thing, hellyeah! 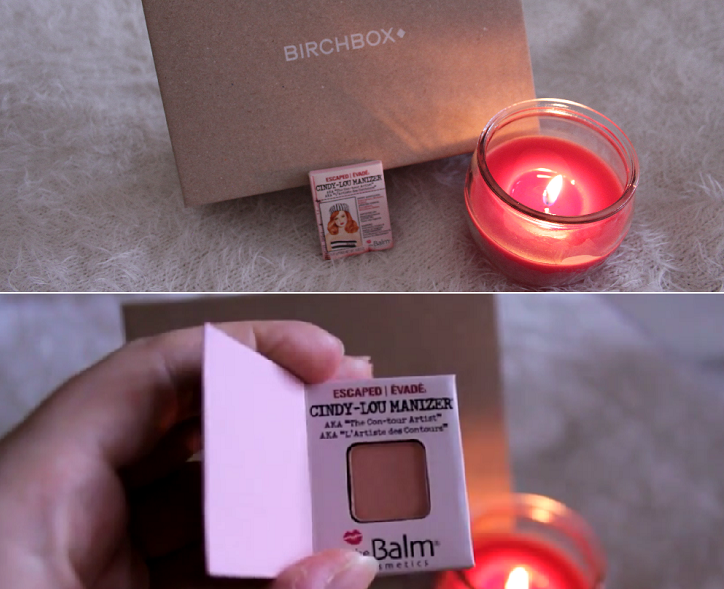 TheBalm Cosmetics -in addition to the cutest retro packaging-, is perfect to make life a little easier. This little tiny book keeps in fact a pinky shiny powder in is pages. This « Cindy Lou Manizer » goes well on cheeks but also under the brow! Plus, it’s cruelty-free. Having a soft skin is cool, but it’s really important to think about the lips. If lips are dry it’s a nightmare, especially if you were lipstick. That’s why the Polaar lip balm is gorgeous. It hydrates the lips like no other lip balm. It has no perfume and no colour so it is perfect to put on everytime it’s neeeded. So efficient, ugh. It is finally time to take care of your hair and I’m sure that I didn’t have to introduce the last brand of the month: AUSSIE ! I love this conditioner from Aussie, it keeps the hair soft and shiny… in 3 minutes. Lemongrass and lemon balm are both perfect to protect the hair and the smell, ugh that typical candy smell from Aussie, what else can I say? Every month, there also is a little suprised. 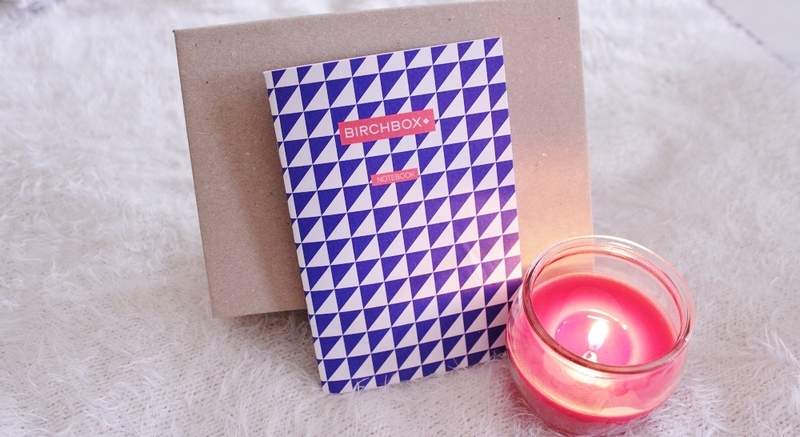 Last time it was a hairgrip from GHD, this time it’s a cute Notebook from Birchbox. Be sure that soon, it will be full of blogs and videos ideas! Let me know what is your favorite product in the comment! Article précédent What about LUSH?